Jar Pop - Pop it! Don't twist it! 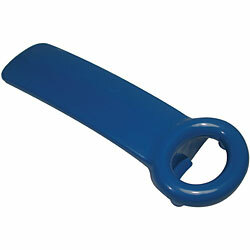 Ideal for those with dexterity complications, this jar opener makes daily living a breeze! In seconds, this daily living kitchen aid will open your jar effortlessly by popping the vacuum so that the lid can move easily and spin freely off the jar. Opens almost any jar, e.g., pasta sauce, pickles, baby food, salsa, bottled juice, apple sauce, jelly, etc.